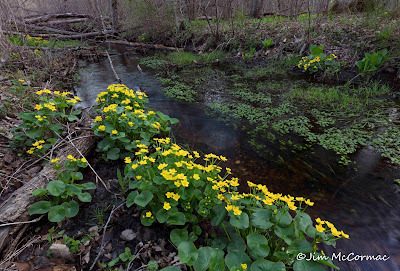 Marsh-marigold grows in profusion along the banks of Cedar Run. This brook is spring-fed and stays cool year-round. Water cress, Nasturtium officinale, grows in the stream's waters, and occasional clumps of giant-leaved skunk-cabbage, Symplocarpus foetidus, dot the banks. Cedar Bog, Champaign County, Ohio, yesterday. 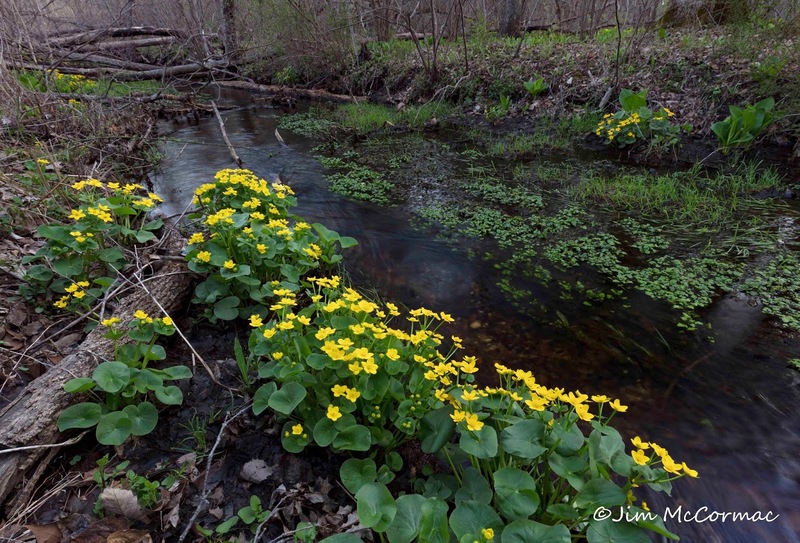 Right now is about peak for marsh-marigold at Cedar Bog, but it should look good for the next week or so. It's well worth the trip. For more information about Cedar Bog, CLICK HERE. West Virginia photo workshop! May 6 - 9!